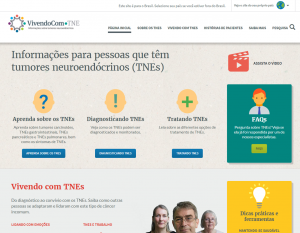 New website for patients in Brazil with neuroendocrine tumours. Kanga has supported Ipsen Pharmaceuticals to launch VivendoCom, the localised Brazilian version of the global Living with NETs, the support resource for patients with neuroendocrine tumours. Kanga has partnered with The Christie Hospital's Digital Experimental Cancer Team to launch its new website. The Digital Experimental Cancer Medicine Team was created to link clinical science with academic and scientific research with strategic partners, to transform the way that decisions in cancer treatments are made. The website, DigitalECMT.org, explains this innovative approach to to all potential partners and stakeholders – doctors, nurses, researchers, patients and sponsors. 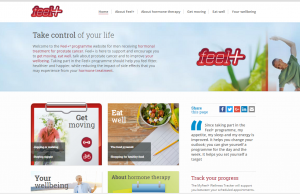 New website for patients in Germany with neuroendocrine tumours. 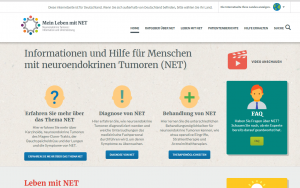 Kanga has supported Ipsen Pharmaceuticals to launch Mein Leben Mit NET, the localised German version of the global Living with NETs, the support resource for patients with neuroendocrine tumours. 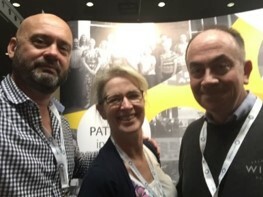 The Kanga team, Kay, Dave and Simon, met with old clients and new to discuss pharma digital best practices. Kanga had a booth and Kay Wesley, CEO helped to facilitate a workshop with M3. Kay blogged about her 4 takeaways from the event. Designed with patients and HCPs, for patients. 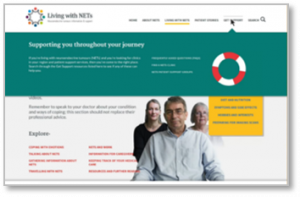 LivingWithNETS is a comprehensive online resource that Kanga supported Ipsen Pharma to design with patients, for patients, to provide information and support for those living with, suspected to have, or recently diagnosed with neuroendocrine tumours. The site was launched on world NETs day alongside a highly successful Thunderclap campaign. Ed joins us today as Account Manager. With a strong background in Event Management and Social Media Marketing, Ed is a welcome asset to our team. He also has a degree in criminology so we will be watching our ps and qs! Any excuse for a team party! 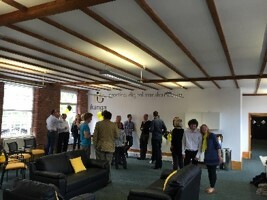 Kanga today moved into new offices and held a team party to celebrate 2 years of incredible growth and success. Thanks to all our clients! Welcome to George who joins our growing Kanga team today. George has excellent Microsoft and Digital skills and will be formatting, webmastering and supporting many client projects.